Shamanism has been practiced in one form or another around the globe and throughout history with shamans acting as intermediaries between the natural world and the world of spirit. The term has a broad context and covers many spiritual traditions. Most shamans are “called” by spirit to apprentice this healing art form. Though, in reality, this calling is more of a divine directive (bad things happen in the lives of would-be shamans who don’t answer the call). A shamanic aspirant must face grueling challenges and many tests before some form of spiritual initiation transforms the initiate and bestows his or her “Don” (spiritual gifts). Years of disciplined training are usually then required for shamans to develop and master their gifts. Thereafter, shamans function as the spiritual mediators they have trained to become as they pursue their work in the ancient healing arts. It is important to acknowledge the actual power for healing and personal transformation comes from spirit. The role of the shaman is the between-worlds middleman that has been initiated by spirit and bestowed certain gifts such that he or she might be of service to humanity. It is difficult to gauge what level of gifts or powers a shaman might possess by their age or cultural origin. Shamans are often chosen by spirit precisely because they have lived many lifetimes engaged in the shamanic arts. With proper training, or, on occasion, initiatory ceremonies of the highest order, they are able to resurrect their ancient skill sets in their present incarnation. We specialize in such “resurrection” ceremonies as part of our work in service to humanity during these transformational times. The phenomenon known as Ayahuasca tourism has changed the landscape when it comes to finding a legitimate shaman. 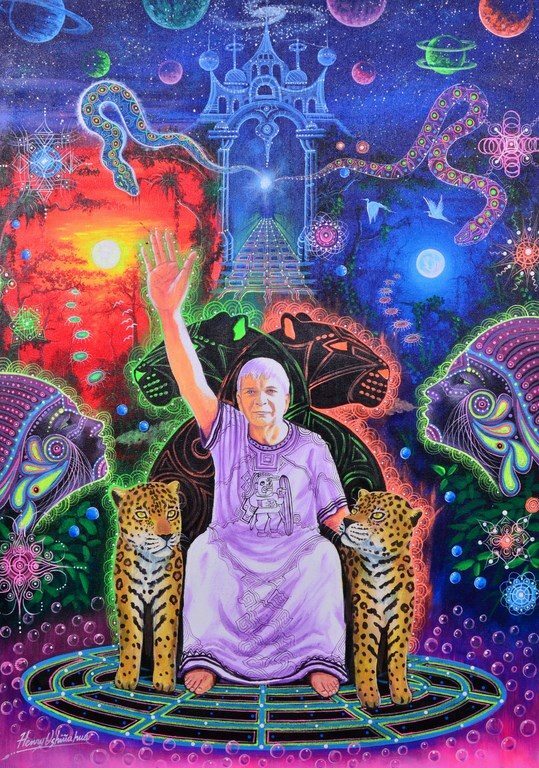 Ayahuasca is a sacred plant imbued with a living spirit. It should be revered, but it is frequently profaned. Oftentimes brujos (shamans that use dark powers to inflict harm) will entice individuals into ceremony, principally for monetary gain. The threat is greater for women as they also risk sexual molestation. Others use brujeria to keep participants coming back. This abhorrent practice, typically driven by ego or greed, is at cross purposes with spirit. There are serious karmic consequences for this disgraceful violation of free will. Nonetheless, this shameful practice is widespread. One should be leery of shamanic centers that operate in the shadows (without licenses and permits so they can avoid paying taxes). Some may use legitimate shamans but the integrity of such organization is highly questionable. When it comes to the prospect of finding a shaman you can trust, it is essential you follow your intuition as failing to do so is like ignoring advice from spirit.